Join the 21 Day Challenge For Just $12! How My Fat Loss Transformation Can Help You! Growing up, I was the short and skinny kid. I was actually the smallest kid in my class! When I was 18 years old and about to attend my first year of college at Penn State University, I weighed 125 lbs at a height of 5'8". During college, I was determined to get as big and strong as possible. I didn't care how I put on the weight, I just wanted to be bigger. By the time I was 22 years old, I weighed 225 pounds (almost 100-pound weight gain! ); thanks to lifting weights, eating as much as I could, and of course, pizza and beer. When I finally hit 225 pounds, I was starting to hear from close friends and family something that I had never heard in my entire life, I was getting a little chubby. I finally realized that even though I was big and strong, I was VERY unhealthy. I decided it was time to take care of my health and not worry about my looks. Coincidentally, I found that my best muscle gains, fat loss, and performance improvements occurred when I focused on using health and fitness to better myself holistically and not for vanity sake! My Results: I ended up losing over 50 pounds in 6 weeks! I don't want you guys to make the same mistakes I did. I don't want you spinning your wheels and wasting time and energy with all of the crash diets and "6 Minute Six Pack Abs!" scams. I am here to make things easy for you. This Ebook gives you step-by-step instructions on how to take back your health and improve your appearance in just 21 days! **Note- Results I experienced may not be typical and may vary from consumer to consumer. If You’ve Tried To Build a Great Body And Failed Before, It’s Not Your Fault! I have been through all of these problems. I have unhealthily force fed myself trying to “bulk up” and then got scammed by crash diets and "miracle workouts" when I wanted to lose fat. I have spent more money than I would like to admit on supplements and the “latest and greatest” workout programs. Let me help you learn from my mistakes. I have learned that fads don't work, gimmicks don't work; but consistency does. I believe everyone has the ability to better themselves. They just need a little guidance along the way. This program takes all of the guess work out of your training and nutrition. I provide you with a simple step-by-step program that you can follow without getting a headache. In just 21 days you will be on your way to feeling and looking better than you ever have! 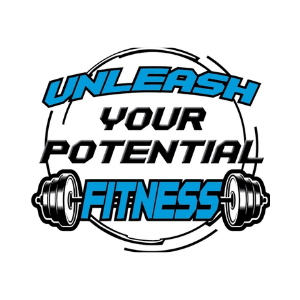 Introducing Unleash Your Potential Fitness' 21-Day Fat Loss Challenge! Get Strong, Lose Weight, & Feel Great! Fast, Safely, & FOR GOOD! Having complete control over how your body looks and feels. Seeing changes in your body every single week. Noticing yourself getting stronger every workout. Finally getting rid of that belly fat that has been sticking around for years. Not having anymore headaches trying to figure out what program or diet to try out. Finally having a program that is simple, easy to use, and tells you exactly what to do while leaving flexibility. I lost 7 pounds in the first 21 days. My stomach is flatter. The program wasn't hard to follow at all. I liked how I had freedom with my meals as long as they were within the set ranges. The workouts felt good and tough but not unreachable! I absolutely love the program. I have a newborn baby and a full time job but I am able to fit the workouts in whenever I have some extra time because they are short and effective. I lost 3 pounds in the first week and then steadily lost 2 pounds a week from there. Really enjoyed this program. I have completed it twice so far! All of the nutritional guidelines are easy to follow and the workouts are easy to fit into my busy schedule. I really liked the fat burning circuits! I am down 17 pounds thanks to this program! Every other program I've tried I have never been able to stick with it long enough to lose any weight. Thank you!!! **Note- Results experienced may not be typical and may vary from consumer to consumer. When You Order Today, You'll Get This Bonus As My Free Gift To You. Bonus: 25 Tips to Strip Off Body Fat For the Summer! It is NEVER too early to get your beach body ready for the summer! This Ebook highlights the principles that I use with all of my clients and programs. These principles have been proven time and again to help my clients drastically improve their health and body composition. They are based on 10-plus years of gym experience, 5-plus years of training experience, and the experience of going through my own dramatic fat loss process in such a short amount of time. The most important thing about this Ebook is that it focuses on improving your health, and with that your body composition follows! Unleash Your Potential Fitness 12 Week Total Body Transformation Program will give you results, and investing in it today is a no-brainer. Try it out for 60 days and if you aren’t happy then just send me an email and I’ll refund your entire purchase – no questions asked. If You Don’t Invest in the 21-Day Fat Loss Challenge, How Will Your Life Be Any Different Tomorrow Than it is Today? If you don’t invest in The 21- Day Total Body Transformation Program today and you choose not to let it help you make big changes in your life, then how will your life be any different tomorrow than it is today? The answer is: It won't be any different, you’ll still be spinning your wheels. Investing in yourself today will deliver the foundation necessary to make EVERYTHING in your life come easier and faster -- including that body and health transformation you're striving for.